Kurt Weill was born in Dessau, Germany, on 2nd March, 1900. He studied music under Engelbert Humperdinck and Ferruccio Busoni and his early works included two symphonies. In 1927 Weill collaborated with the writer, Bertolt Brecht to produce the musical play, Mahagonny. They then produced The Threepenny Opera (1928). Although based on The Beggar's Opera that was originally produced in 1728, Brecht added his own lyrics that illustrated his growing belief in Marxism. Weill also worked with Brecht on Happy End (1929). Weill was a socialist and when Hitler gained power in 1933 he was forced to flee from Germany. He settled in the United States where he soon became involved in the Group Theatre in New York. Founded by Harold Clurman, Cheryl Crawford and Lee Strasberg, the Group was a pioneering attempt to create a theatre collective, a company of players trained in a unified style and dedicated to presenting contemporary plays. Others involved in the group included Elia Kazan, Stella Adler, John Garfield, Luther Adler, Will Geer, Howard Da Silva, Franchot Tone, John Randolph, Joseph Bromberg, Michael Gordon, Paul Green, Clifford Odets and Lee J. Cobb. Members of the group tended to hold left-wing political views and wanted to produce plays that dealt with important social issues. In 1936 Harold Clurman and Cheryl Crawford of the Group Theatre commissioned Weill to write the music for Johnny Johnson, an anti-war play written by Paul Green. Over the next few years Weill wrote the music for several theatre productions including Lady in the Dark (1940), Street Scene (1946) and Lost in the Stars (1949). Weill wrote the music for several Hollywood films including You and Me (1938), Blockade (1938), Knickerbocker Holiday (1944), Lady in the Dark (1944), Where Do We Go From Here (1945), Salute to France (1946) and One Touch of Venus (1948). 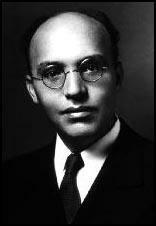 Kurt Weill died in New York on 3rd April, 1950.